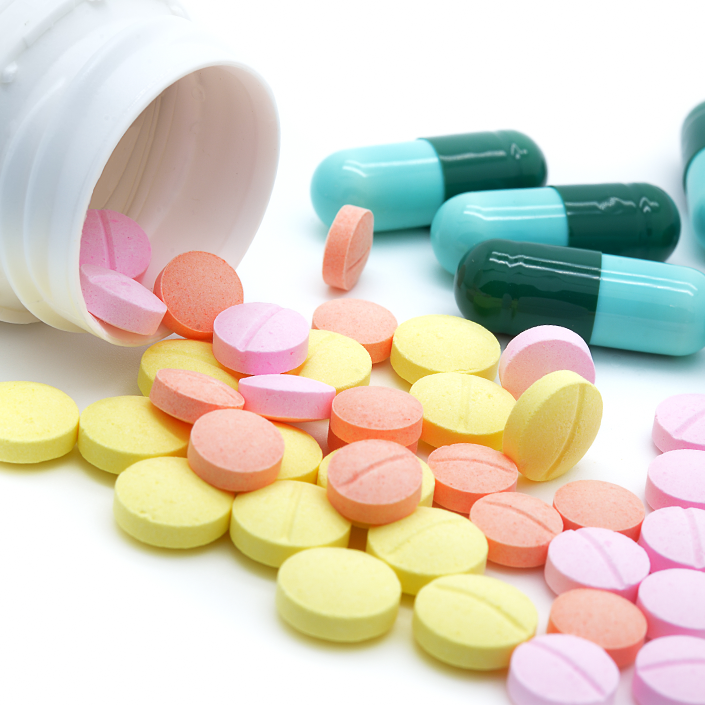 Our core focus is to provide a safe and conveniently located treatment solution for all medical waste streams. 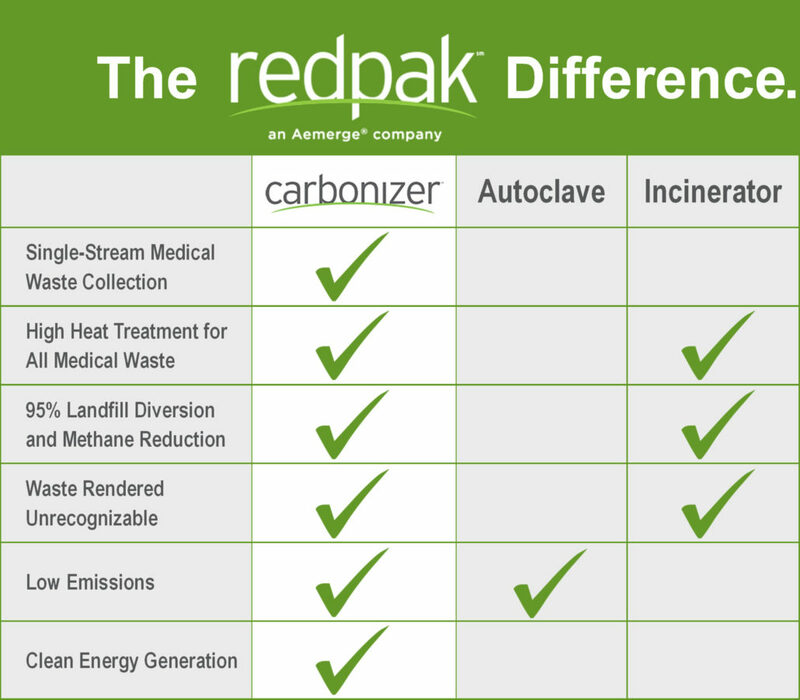 Aemerge RedPak treats all forms of medical waste through an advanced patented technology system, called the Carbonizer®, converting any organic waste stream into clean and renewable energy with low air emissions. 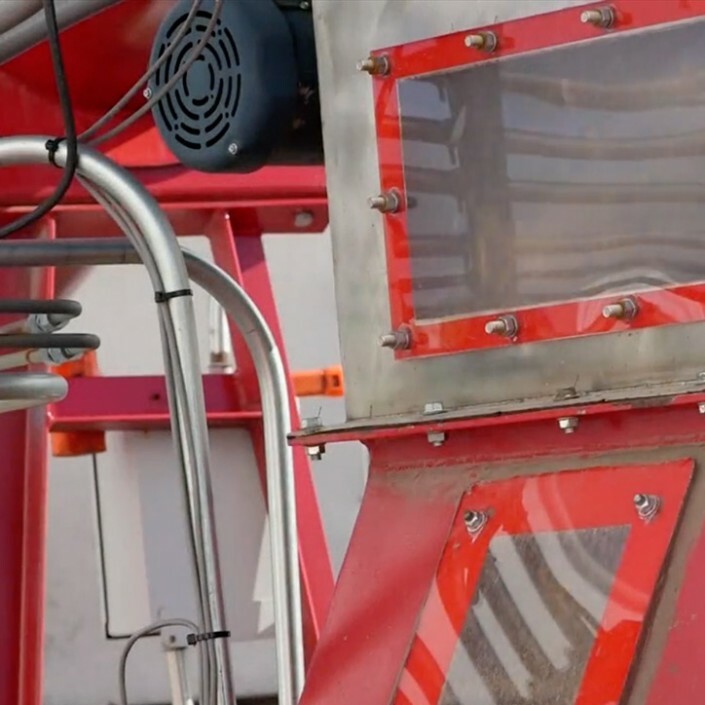 The Carbonizer is designed to process organic waste in a negative pressure, no oxygen environment with high heat. 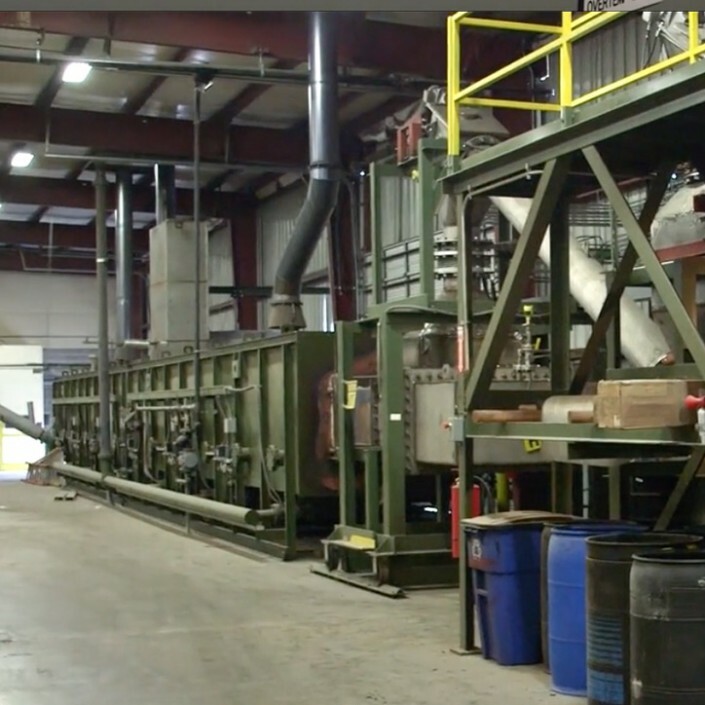 With this revolutionary technology, medical waste is converted to syngas, which is used to generate clean and renewable energy at our facility in California. 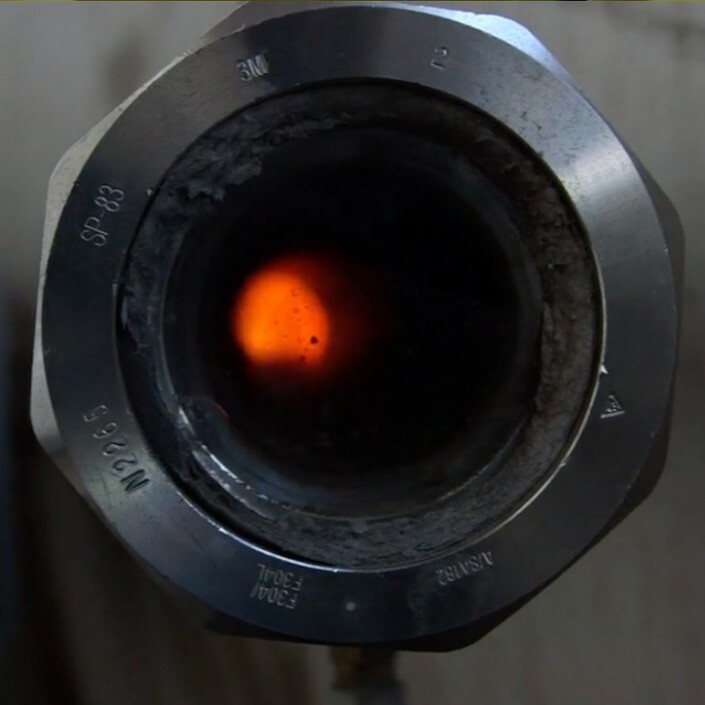 Not only does the Carbonizer sterilize and render all waste unrecognizable, divert 95 percent of treated medical waste away from landfills, and generate clean and renewable energy, but the overall energy efficiency of the treatment process is significantly higher than traditional treatment and/or destructions methods, including older technologies such as incineration and autoclave processing. Aemerge RedPak treats all forms of medical waste according to “High Heat” guidelines, allowing for single-stream medical waste collection. 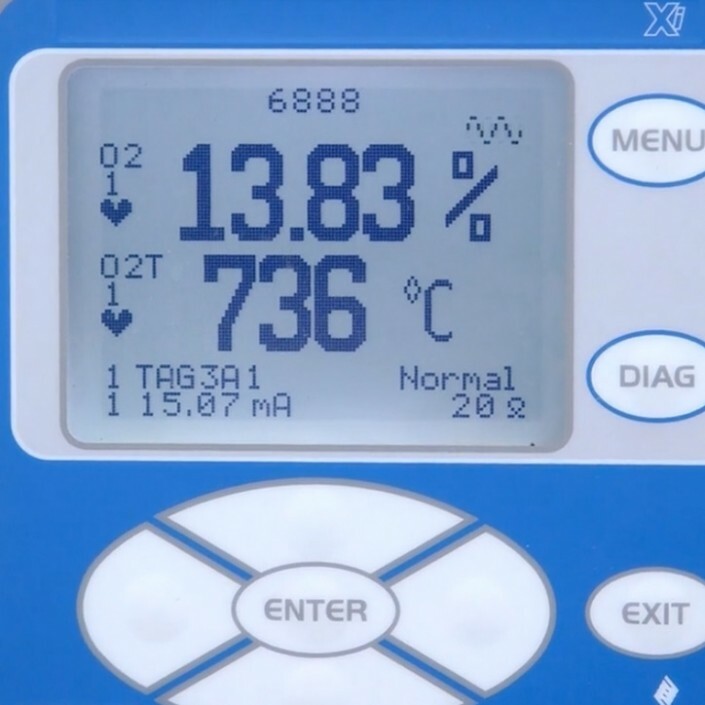 This results in significantly safer conditions for employees and patients, as well as greater efficiencies in medical settings, such as faster surgery room turnover and quicker loading procedures. 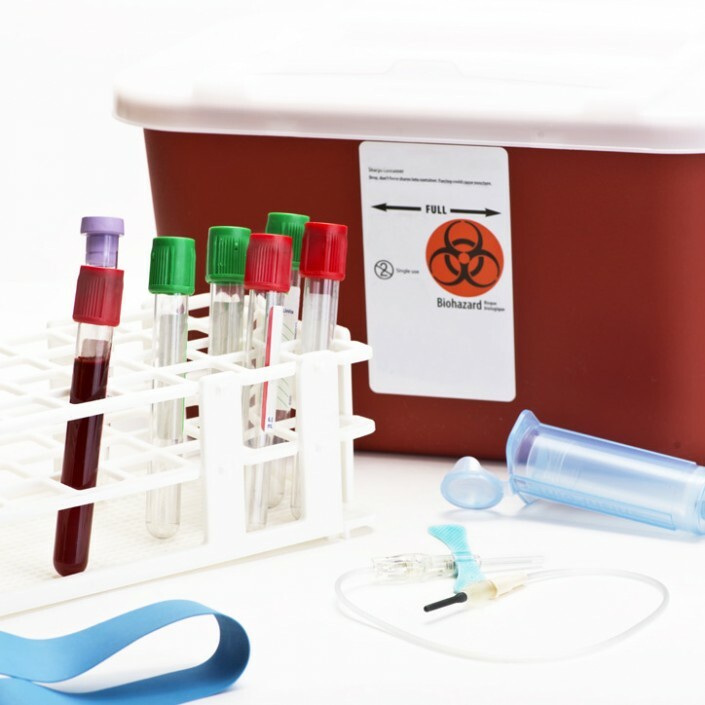 Aemerge RedPak offers disposable containers in various sizes – all approved for comingled medical waste streams – for all your needs. Office-sized receptacles easily nest into larger containers for streamlined collection and transportation. All Aemerge RedPak containers are made from recycled cardboard and are processed along with the medical waste. 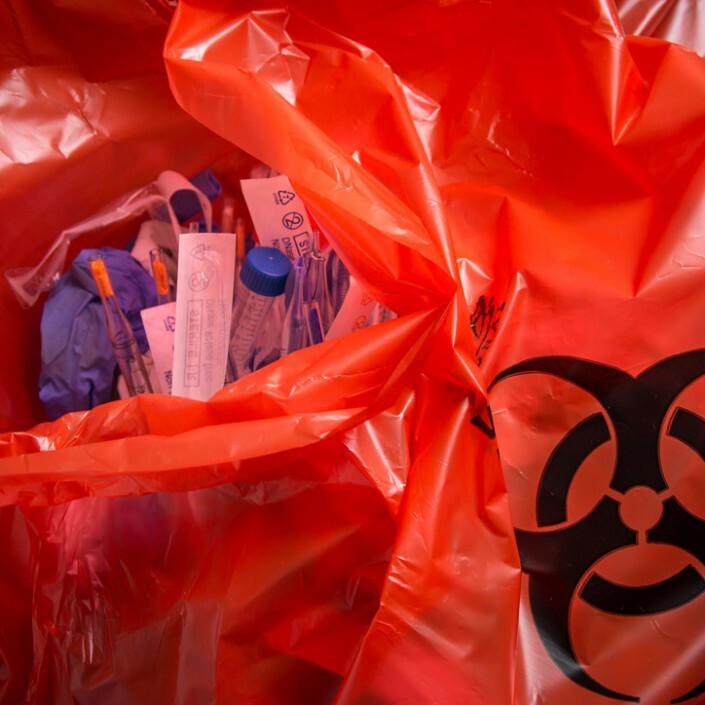 Aemerge RedPak ensures that all medical waste is treated safely, conveniently, and efficiently in California, reducing liability associated with hauling across country. 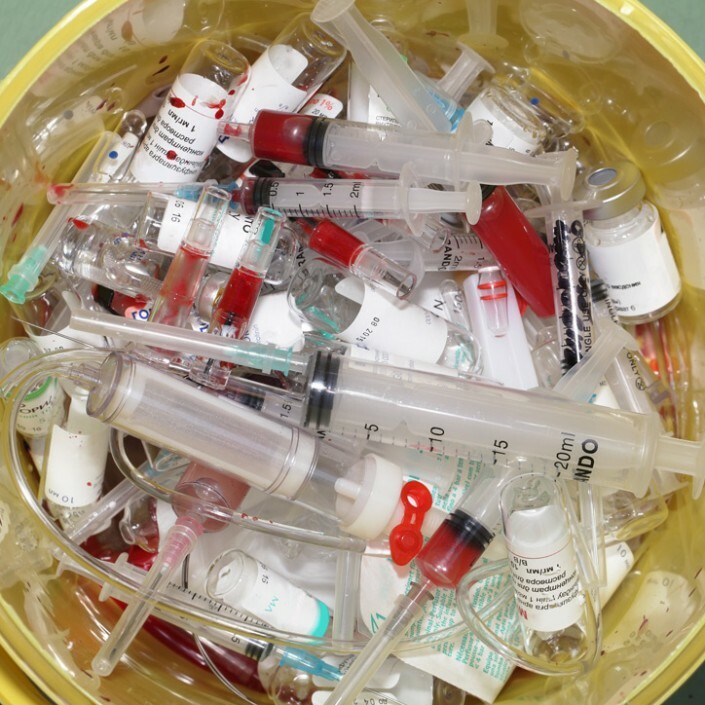 All waste processed through the Carbonizer system is sterilized and rendered unrecognizable (unlike other treatment options, such as autoclaving), which prevents dangerous and costly scenarios related to improper treatment and/or disposal of traceable medical waste. 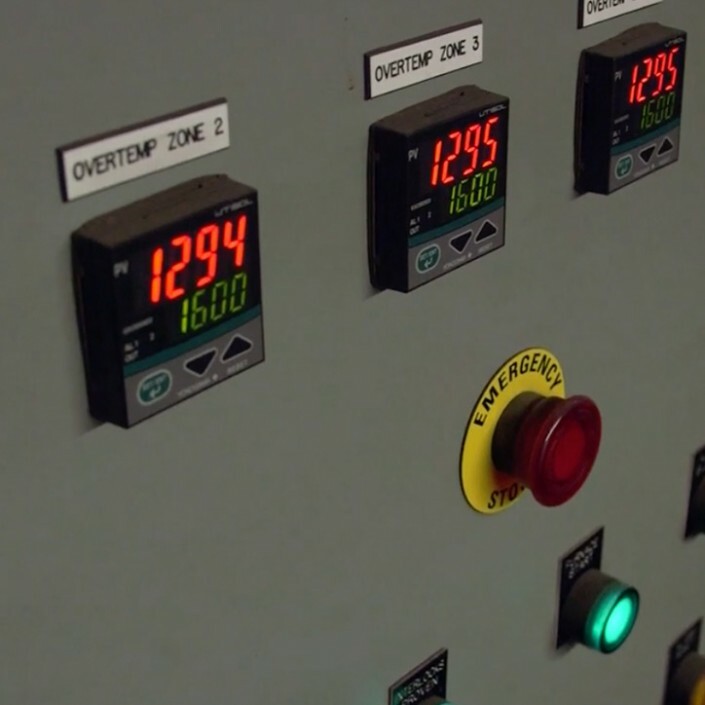 This also results in 95 percent of treated waste diverted from landfills. 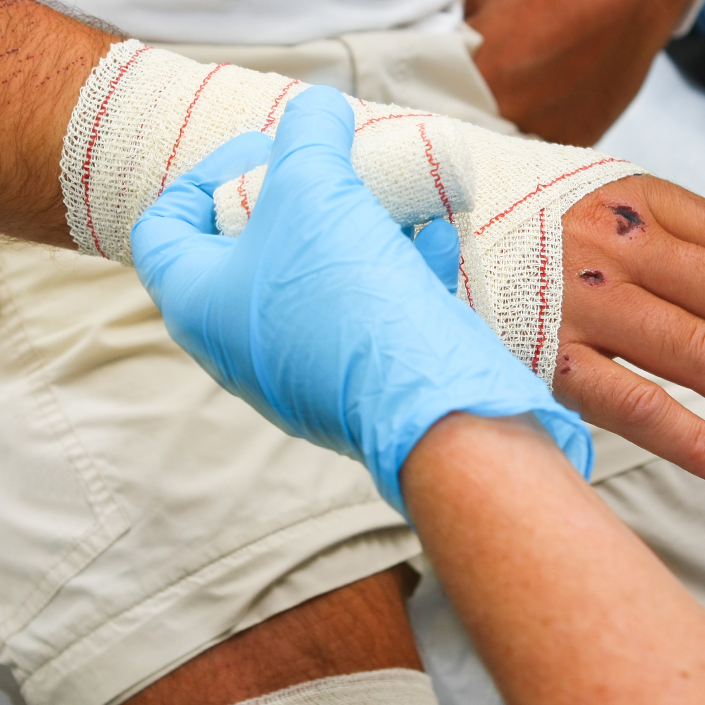 The most recent Centers for Disease Control and Prevention (CDC) annual report on healthcare-associated infections estimates that, on any given day, one in 25 hospital patients has at least one hospital-acquired infection. Additionally, CDC estimates that hospital-based healthcare personnel experience around 385,000 needle sticks and other injuries related to sharps every year. 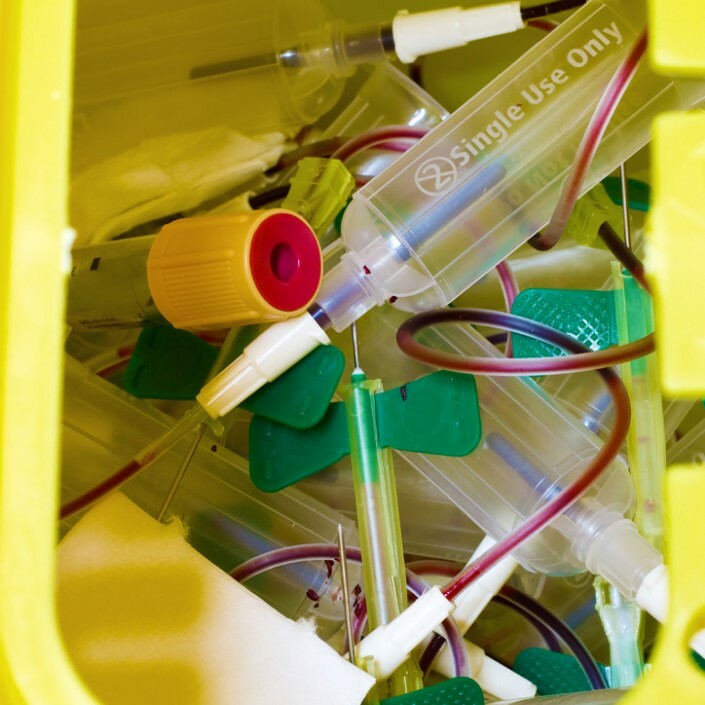 Single-use, disposable Aemerge RedPak containers reduce the potential for secondary infections and require no container washing with chemicals and effluent discharge. Additionally, through Aemerge RedPak’s single-stream collection, human contact with medical waste is greatly reduced. 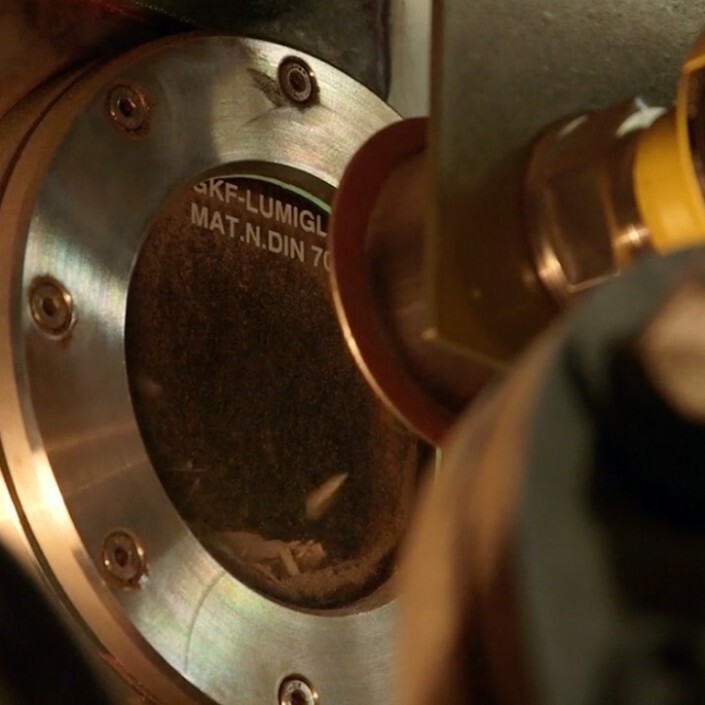 Not only does this allow for medical professionals to focus more attention on their patients and not the correct receptacle, but it also limits the exposure to contaminated medical waste and the spread of hospital-acquired infections. 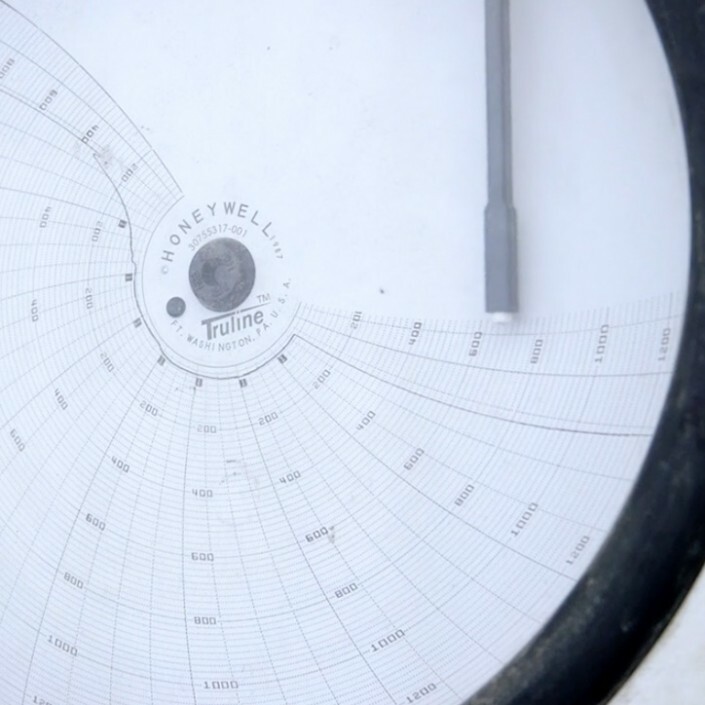 We recognize the negative environmental impacts associated with traditional medical waste treatment and destruction, ranging from air pollution to overtaxing the capacity of our landfills. 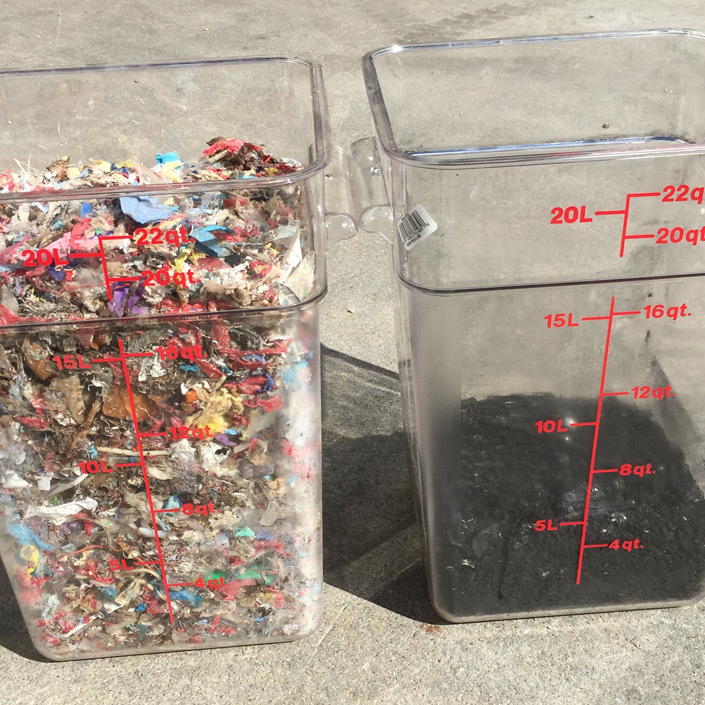 Aemerge RedPak is demonstrating that these environmental impacts are not necessary.  By utilizing Aemerge RedPak and our Virtual Landfill®, you are also making a difference.